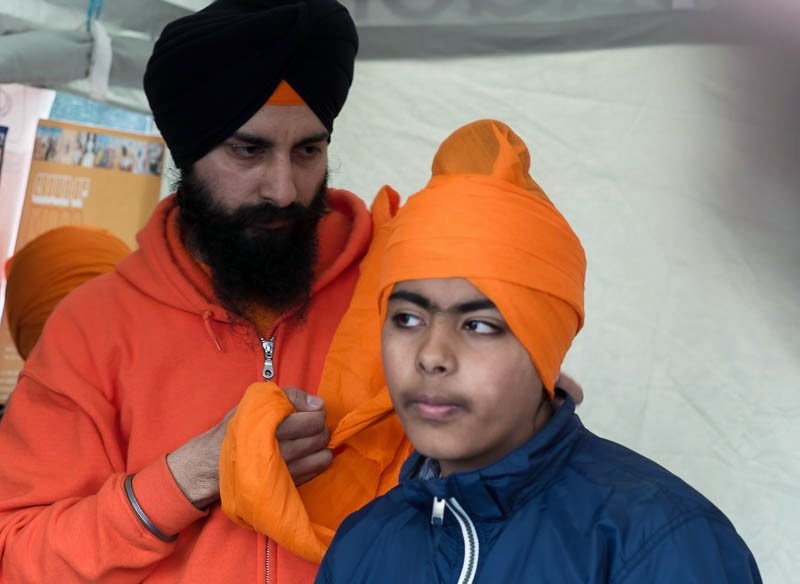 Learning to tie a turban at the Sikh festival of Vaisakhi celebrated in London on Saturday. I'd love to see how that is done. meet them in India.Not cut they hair, bear long loose under where.carry a dagger.